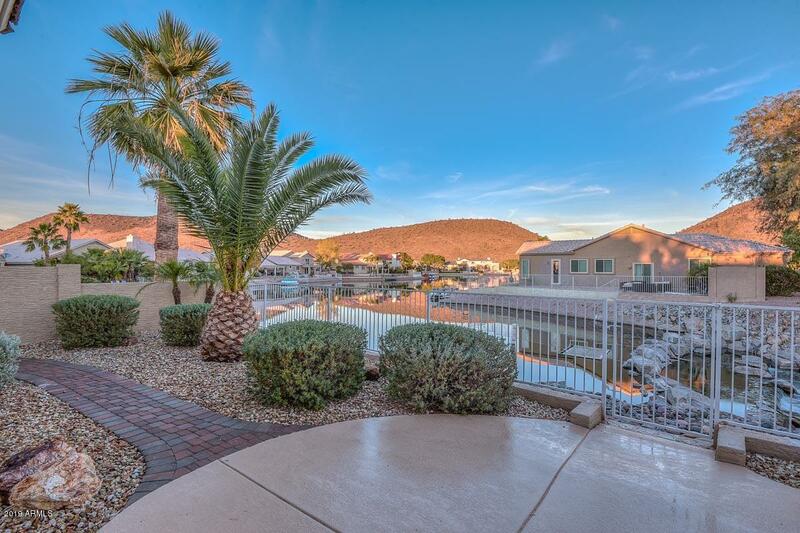 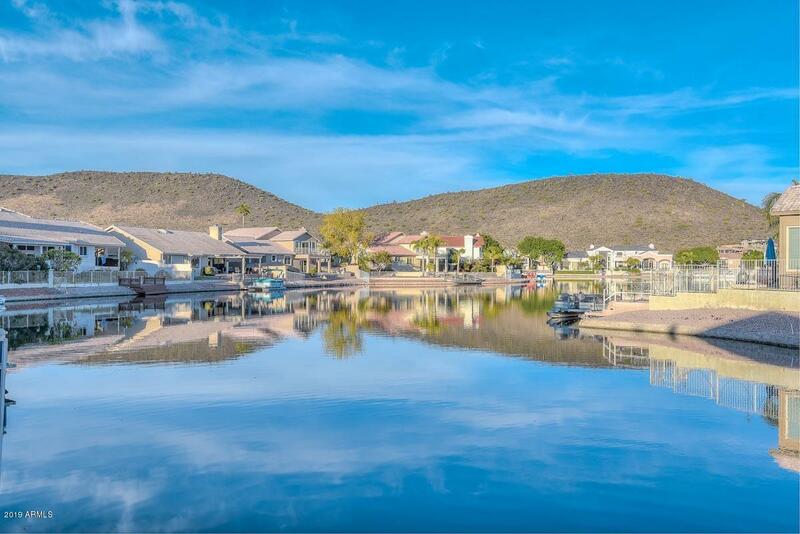 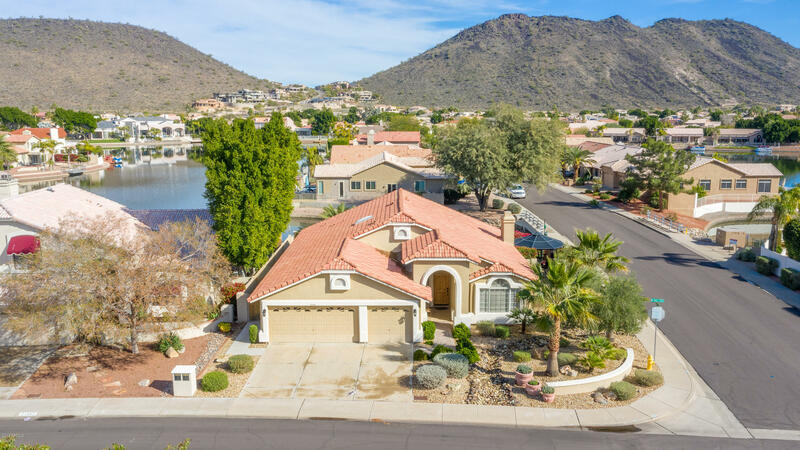 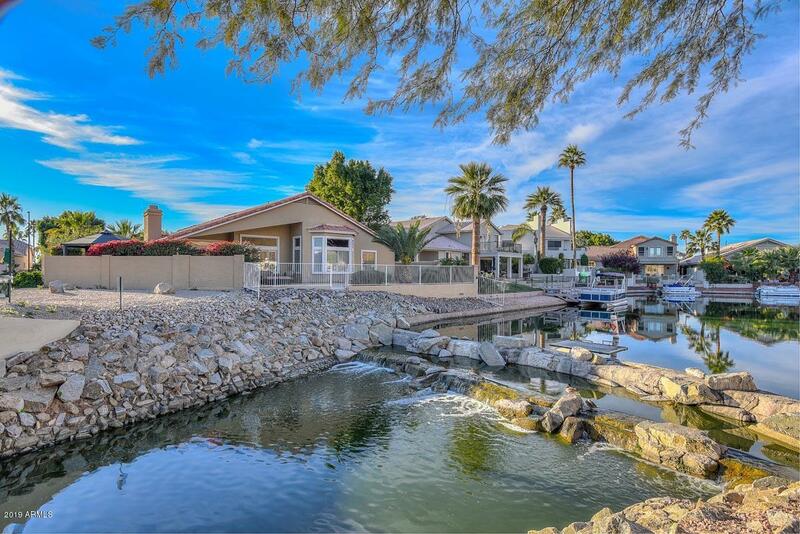 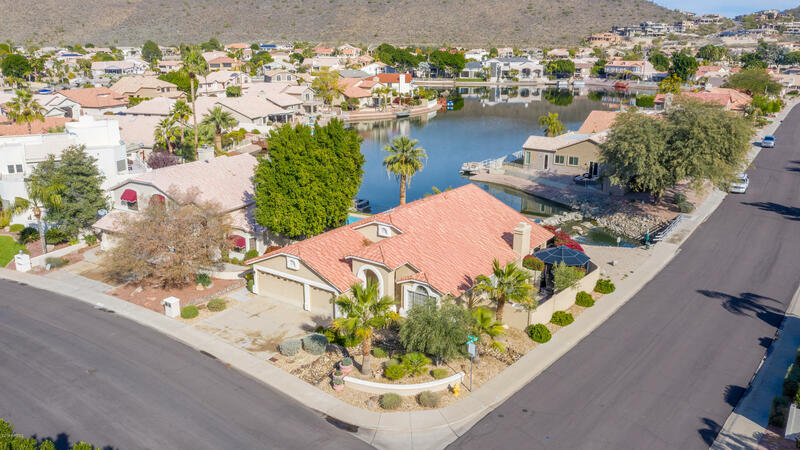 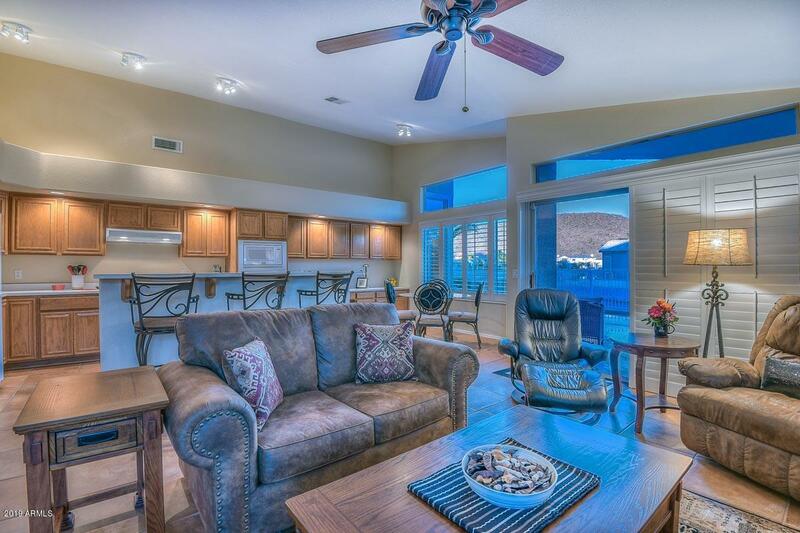 Absolutely gorgeous lake and mountain views in this exceptionally well taken care of home in Arrowhead Lakes. 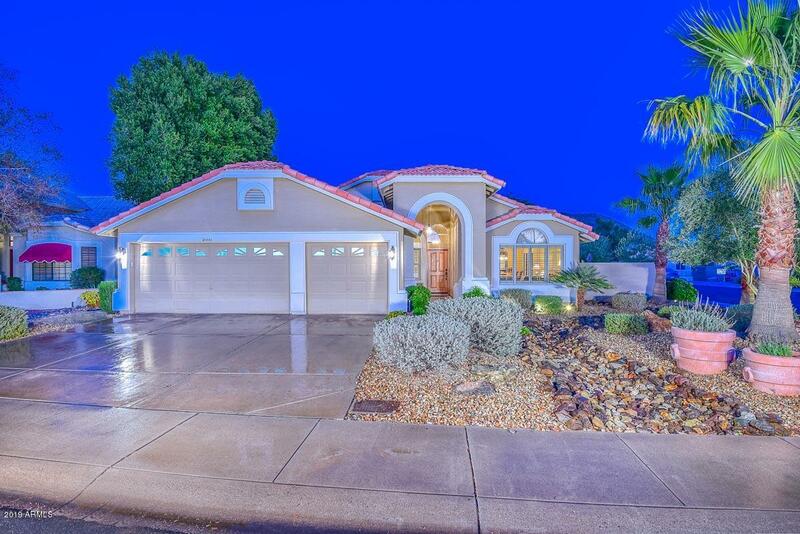 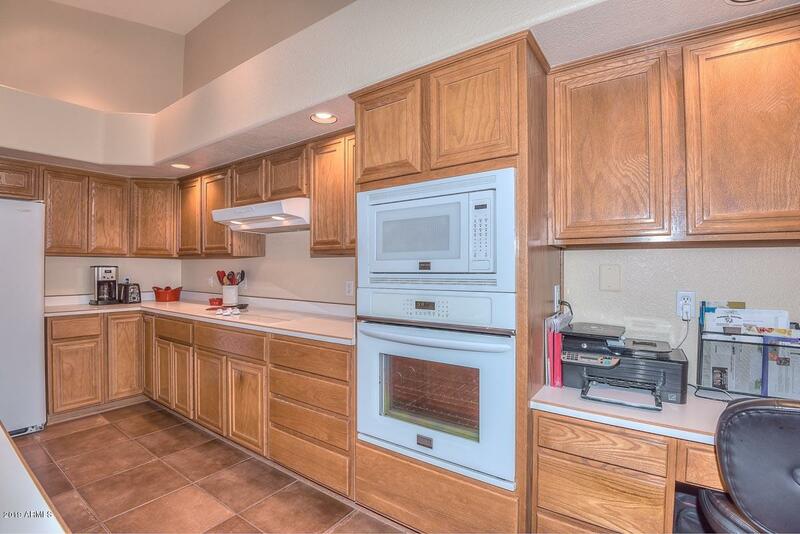 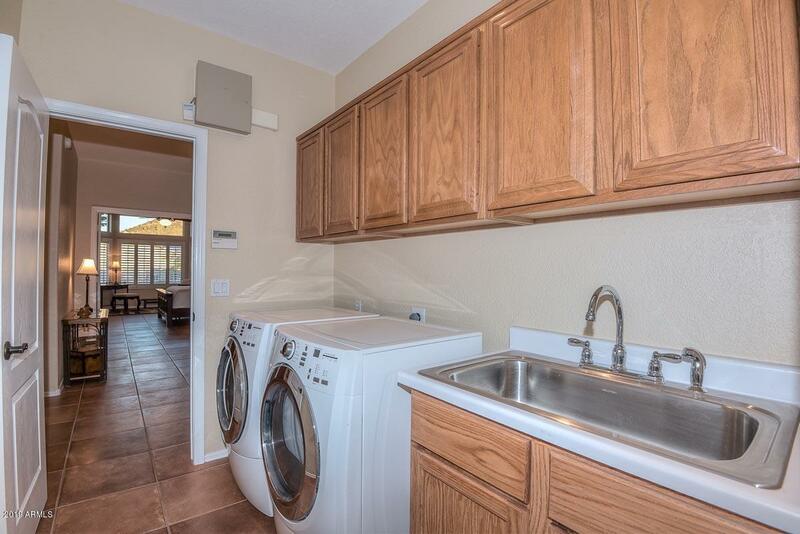 With 3 bedrooms, 2 baths plus a den and over 2,200 square feet this home has so much to offer. 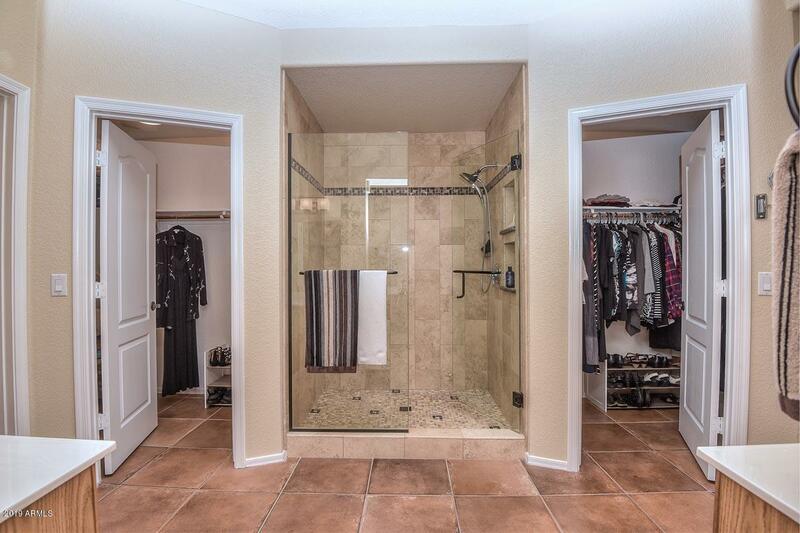 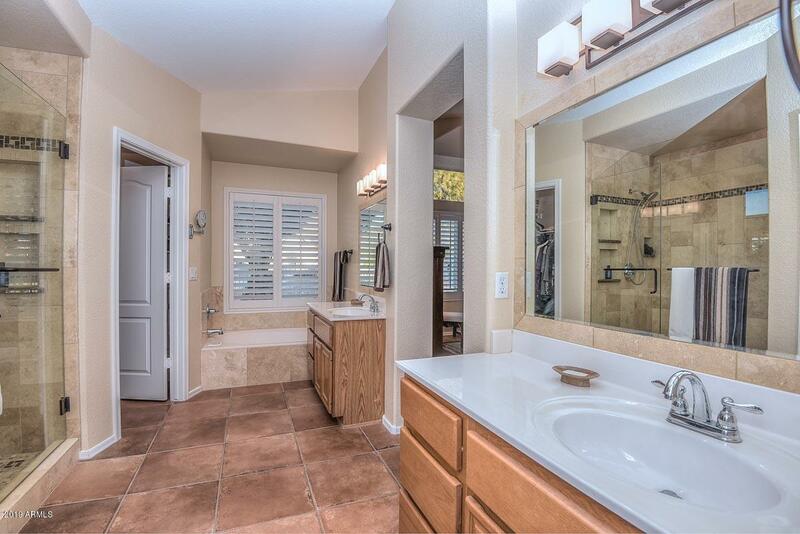 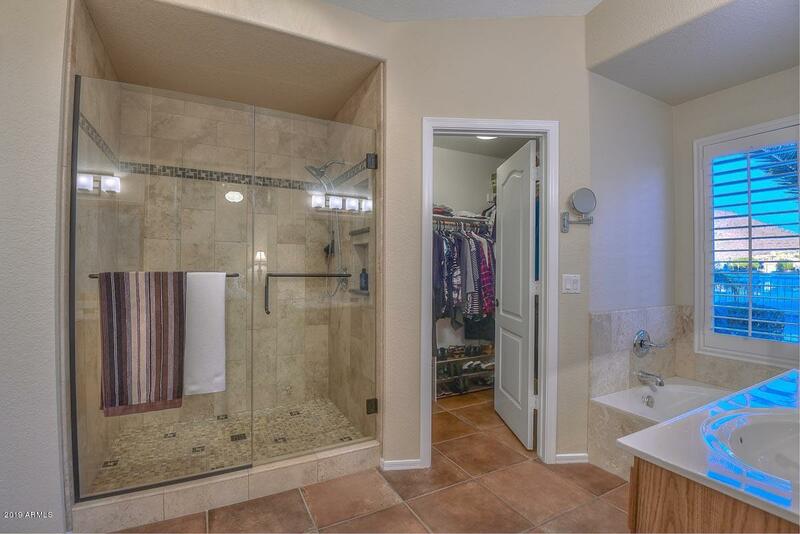 Very nice floor plan with tile through out. 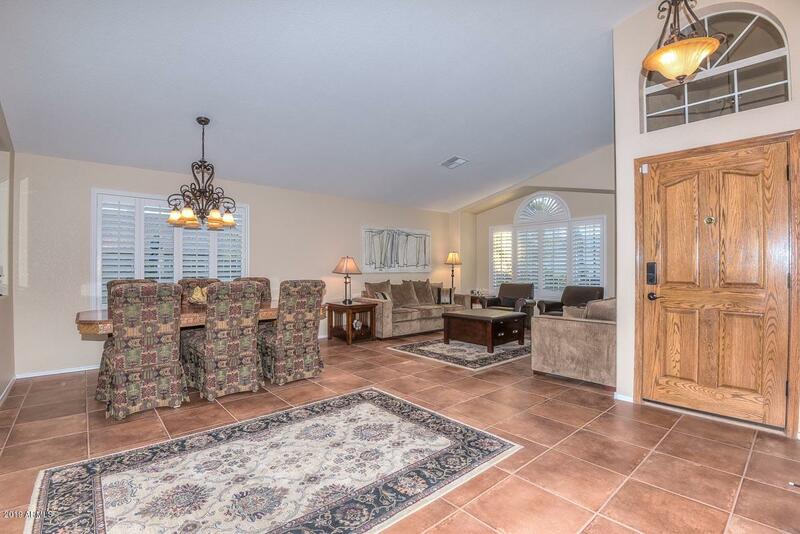 Step inside and you will find a large living/dining room with vaulted ceilings and plantations shutters with great natural lighting. 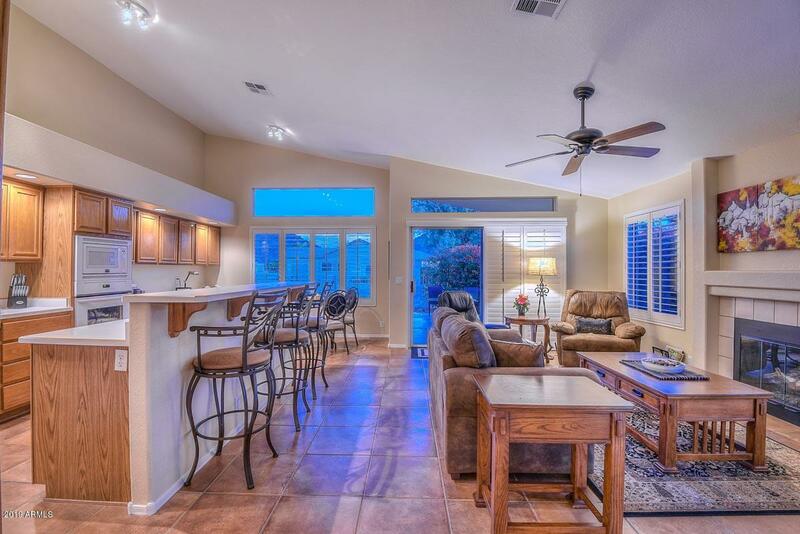 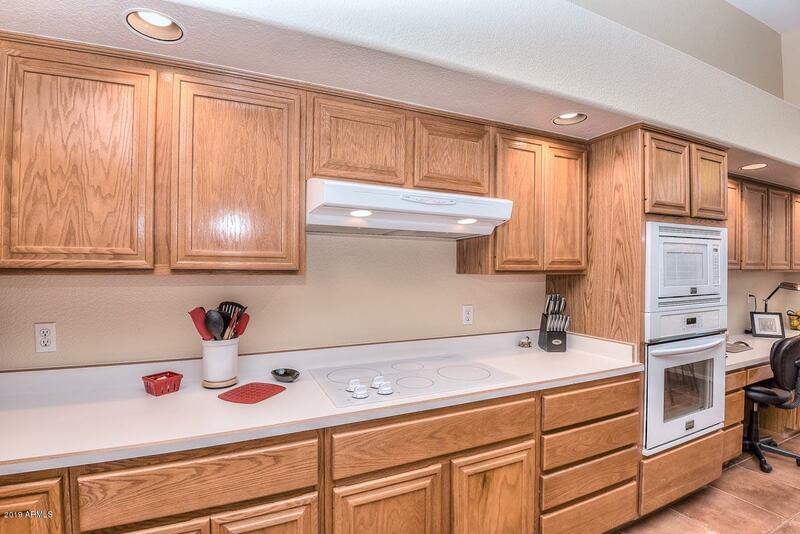 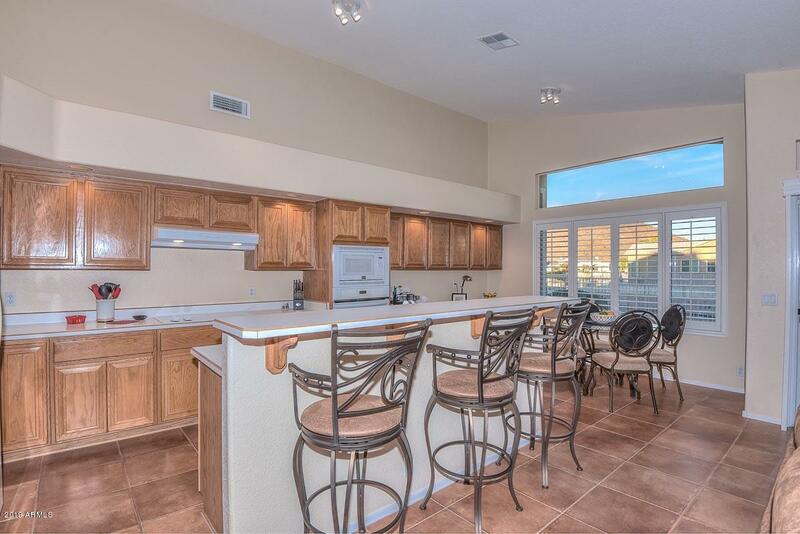 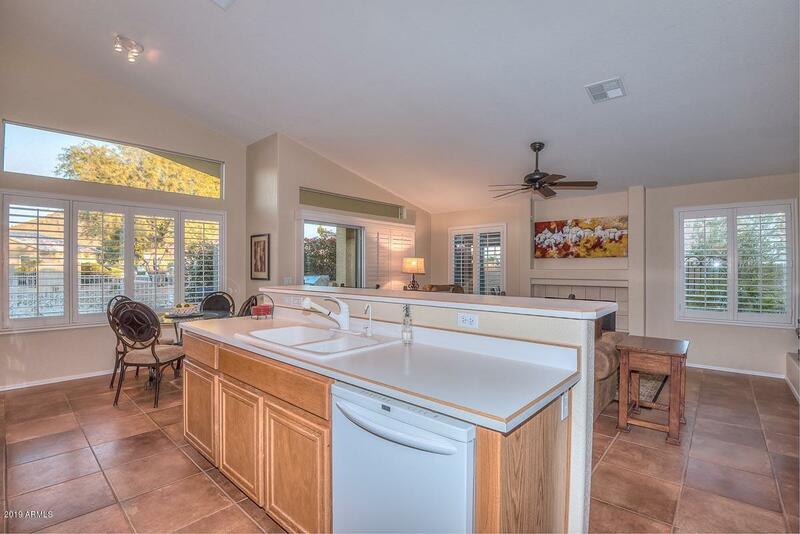 Follow through to the kitchen/family room area where you will find a bright and open kitchen with a breakfast bar island, beautiful cabinets with soffit lighting and a breakfast nook that over looks the lake. 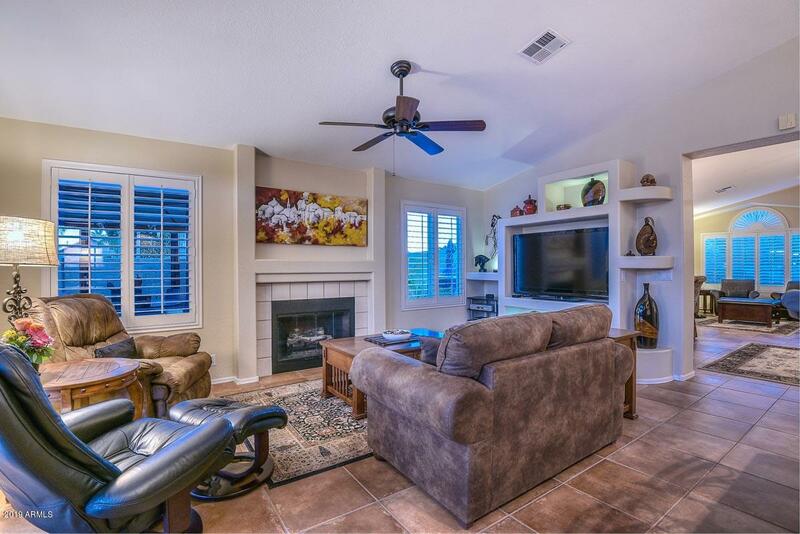 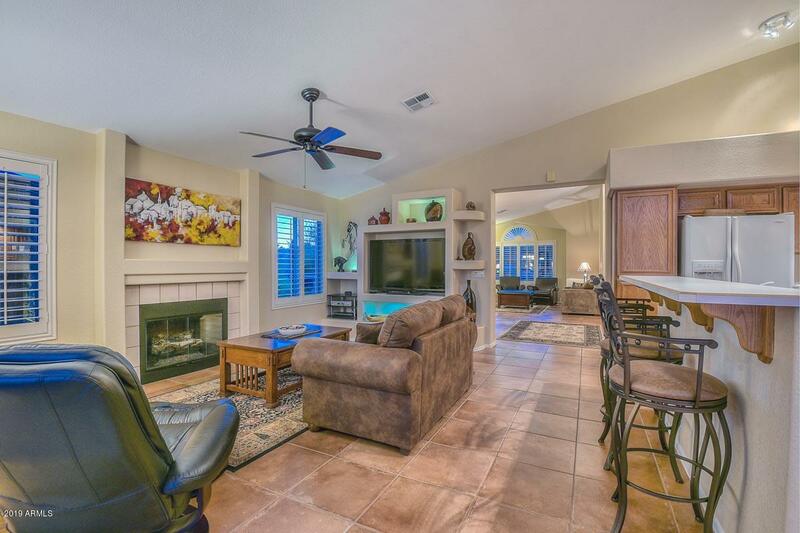 Family room is anchored by a cozy fireplace with surrounding windows and an entertainment niche with cut out shelving. 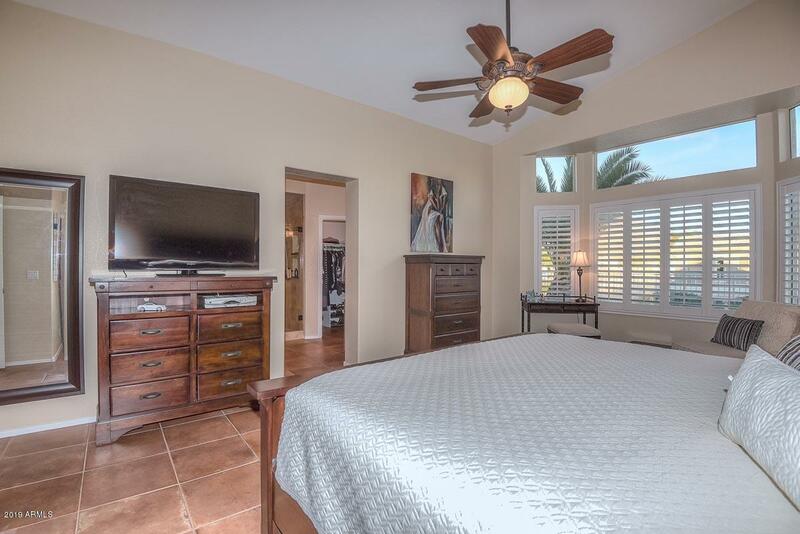 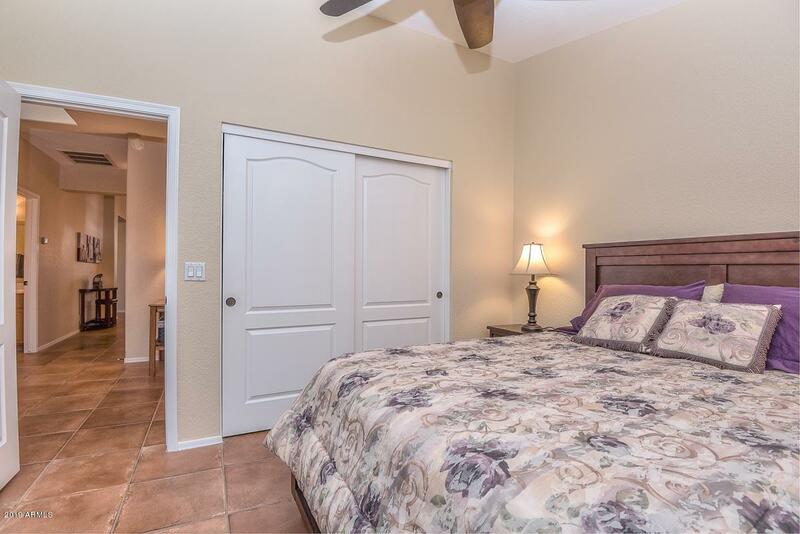 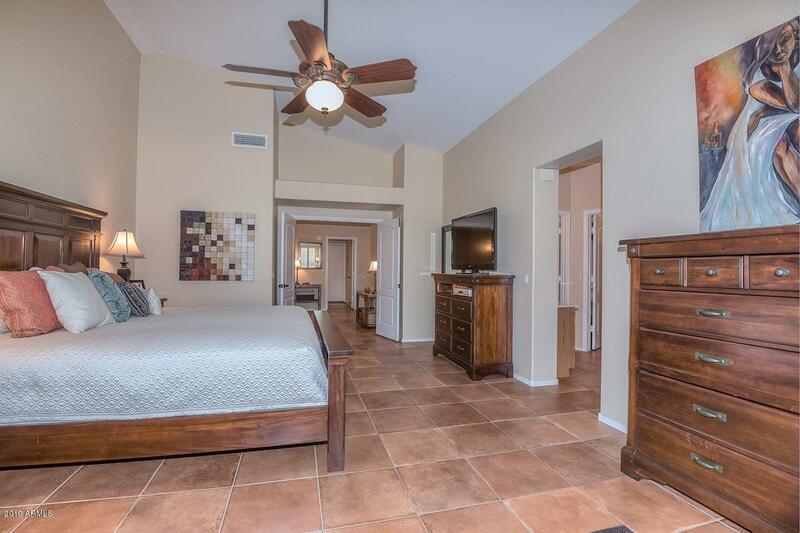 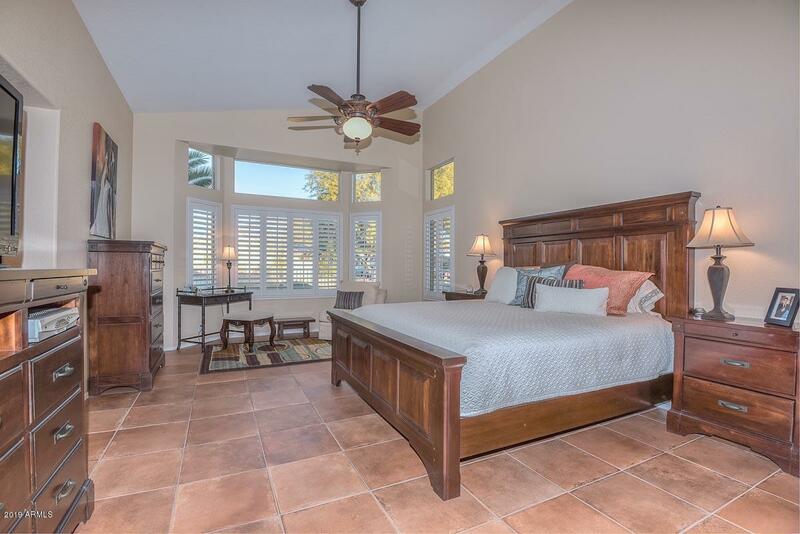 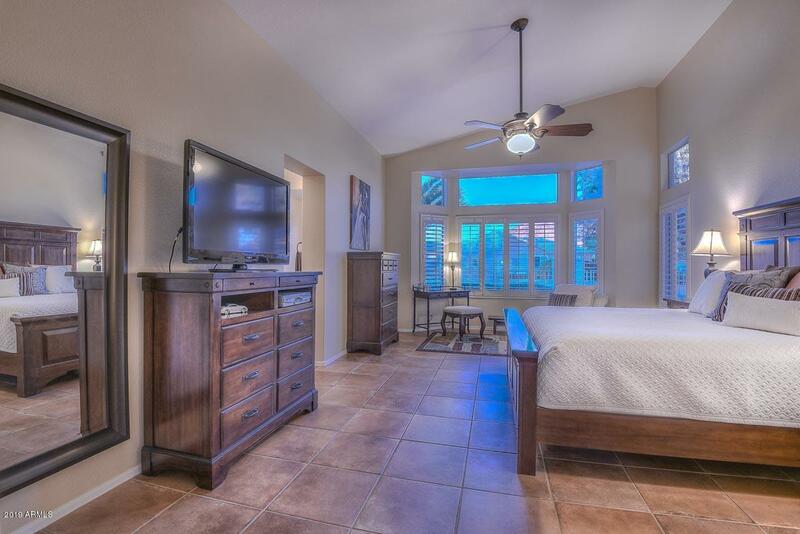 Master bedroom is very special with a large bay window that is perfectfor a sitting area and an en suite bath that features dual vanities, walk in shower, soaking tub and walk in closet. 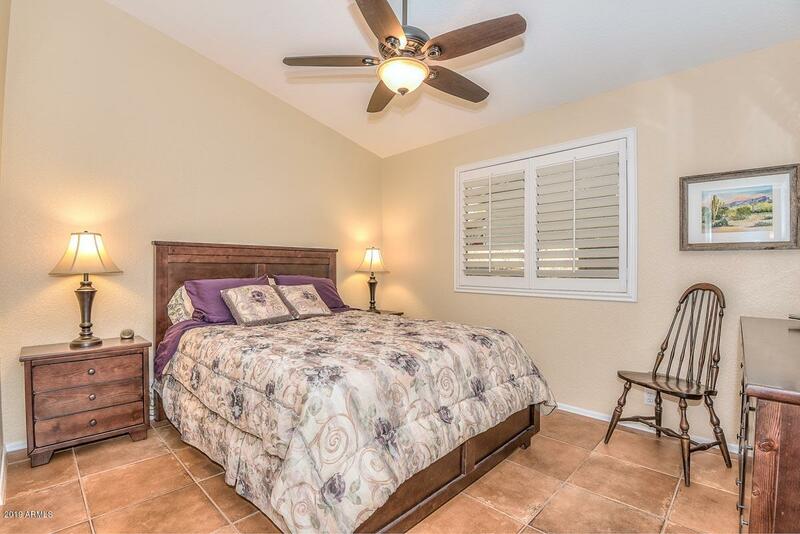 2 additional bedrooms complete the interior of this lovely home. 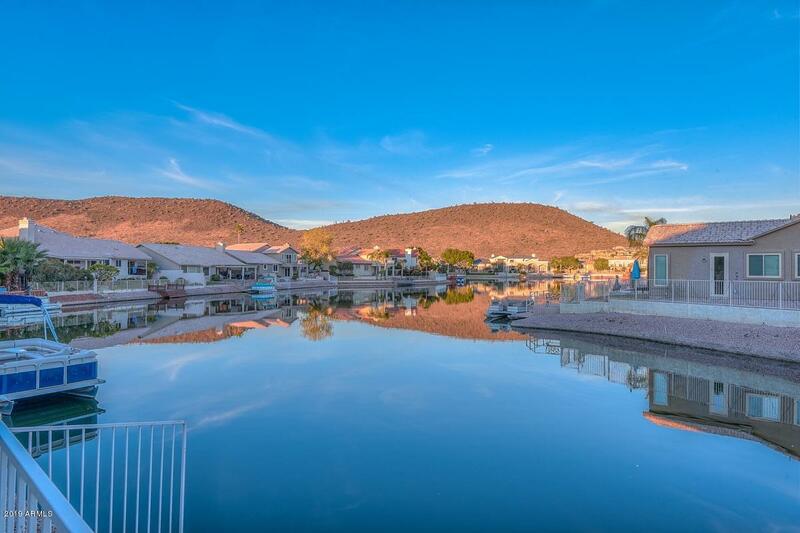 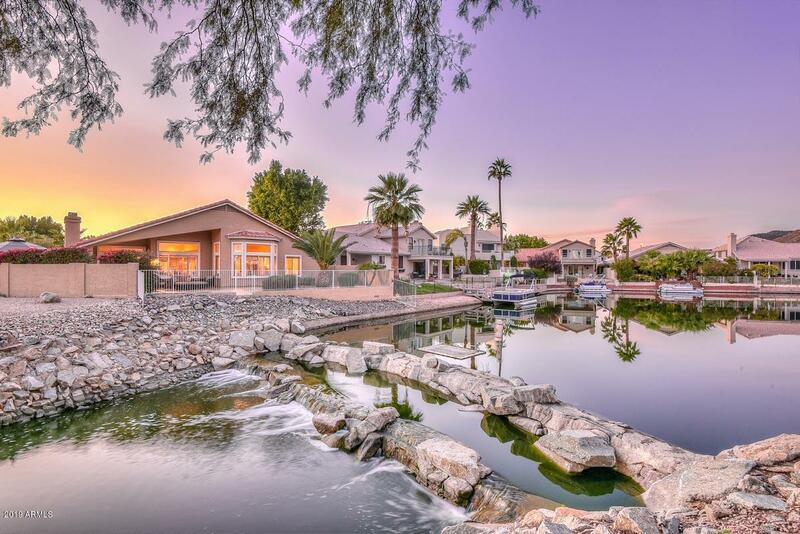 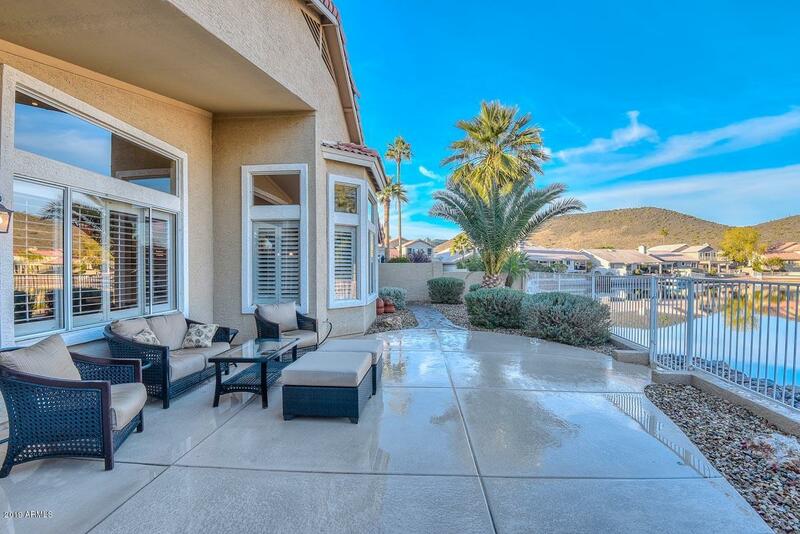 Step outside and take in those one-in-a-million lake and mountain views. 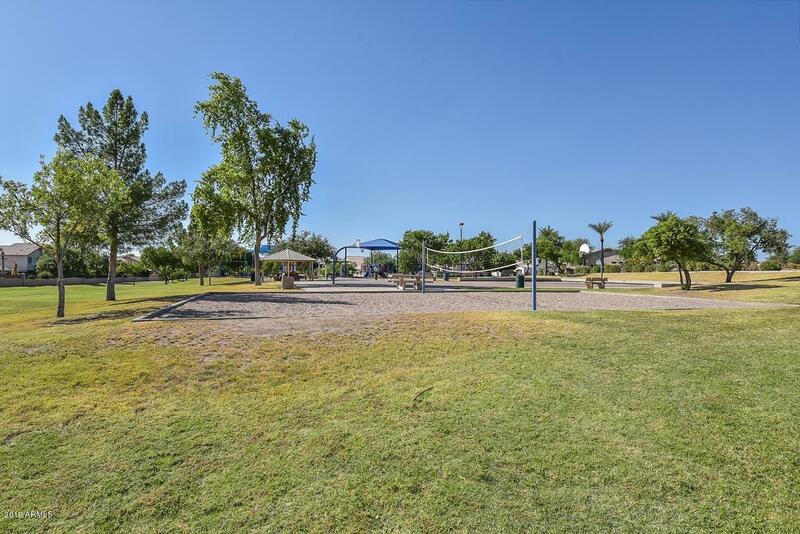 You will find a large covered patio with built in BBQ area, a very pretty ramada that's perfect for al fresco dining and lovely mature landscaping. 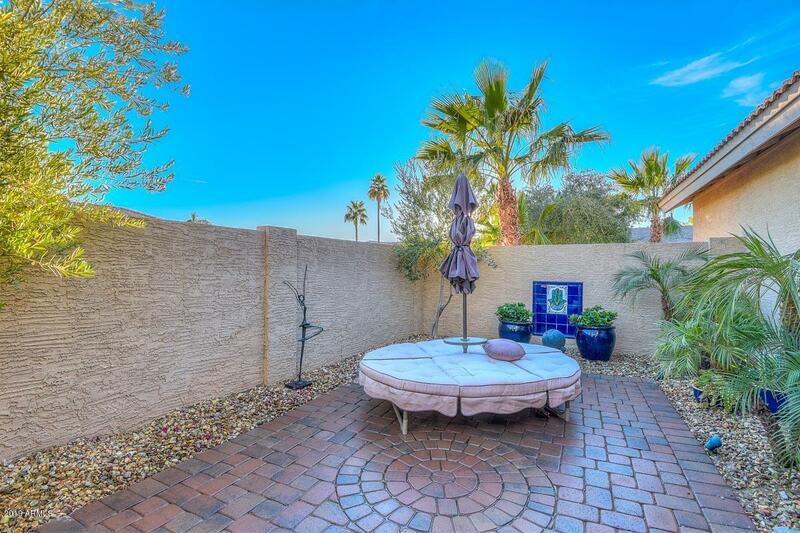 Additionally there is a paved area at the side yard that is perfect zen garden spot. 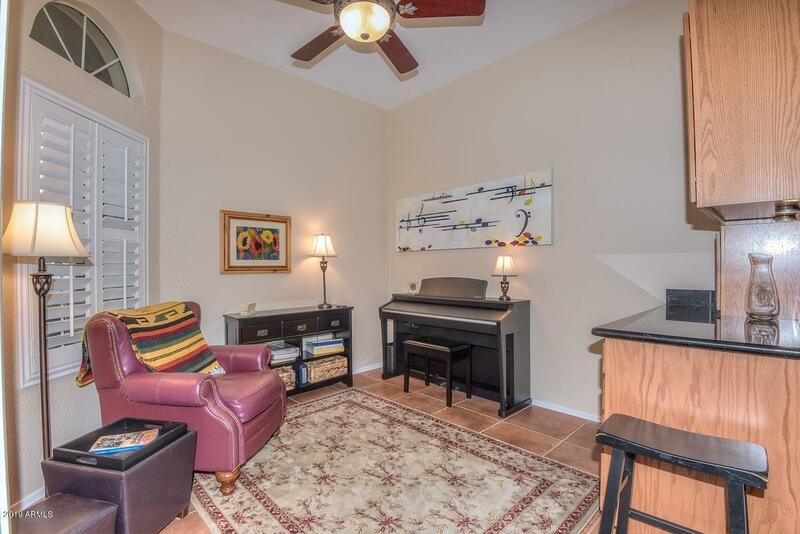 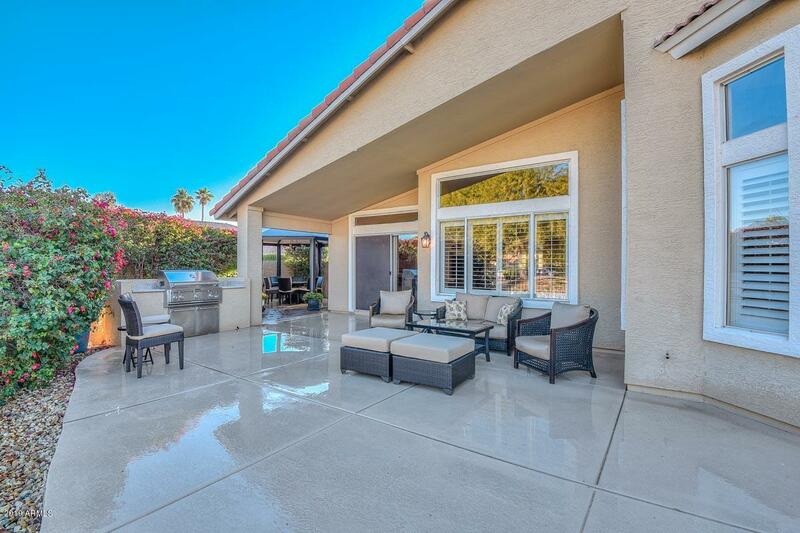 Home is situated on a corner lot that is by a water fall so you are able to relax and enjoy your outdoor patio and hear the sound of falling water - it's magical. 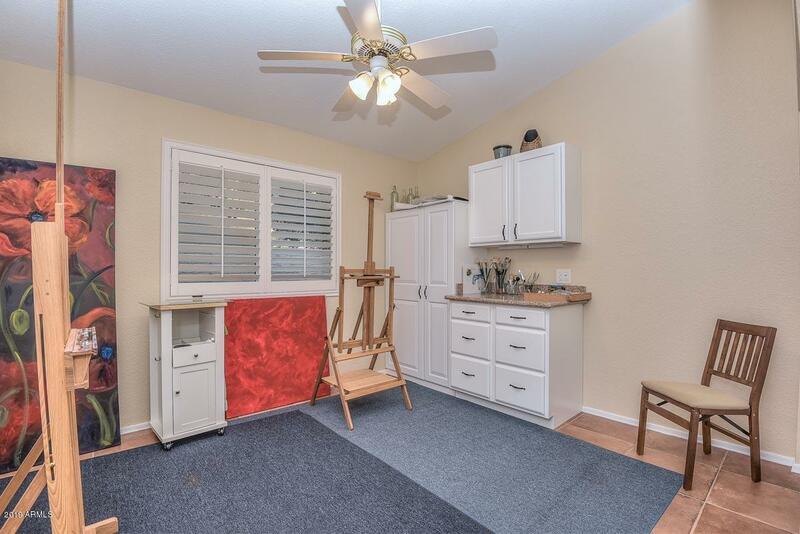 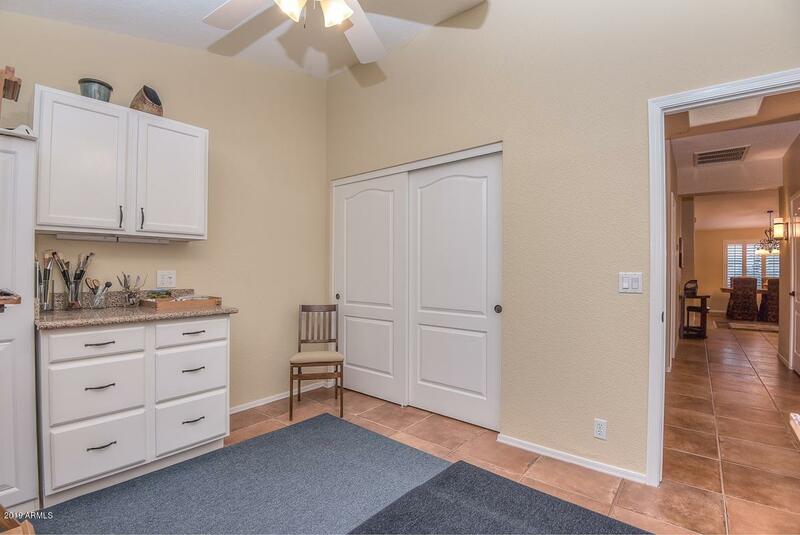 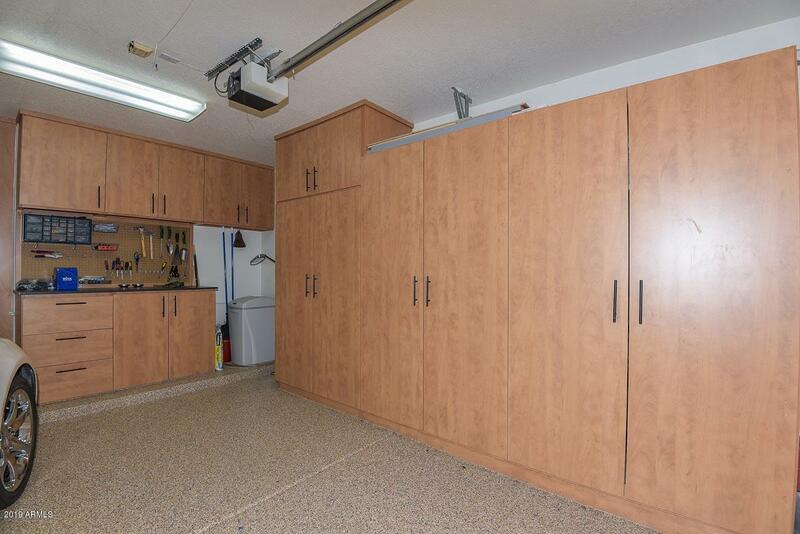 Very nice garage space with built in cabinets and work bench. 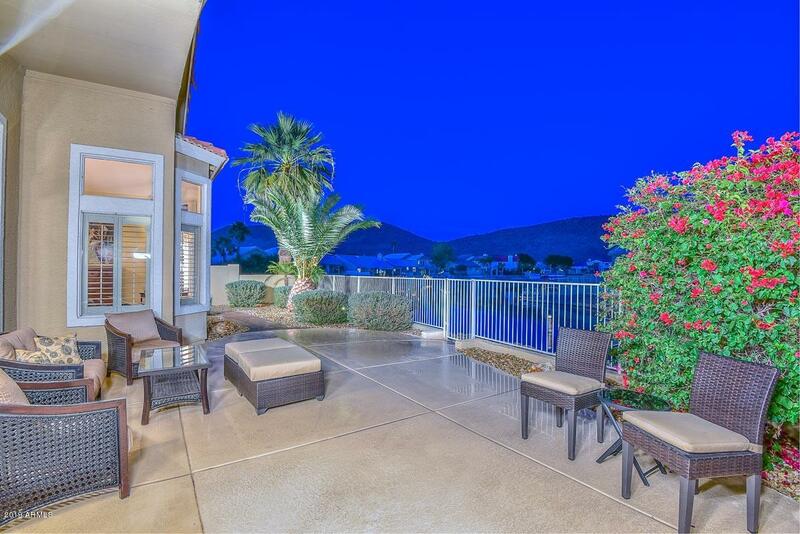 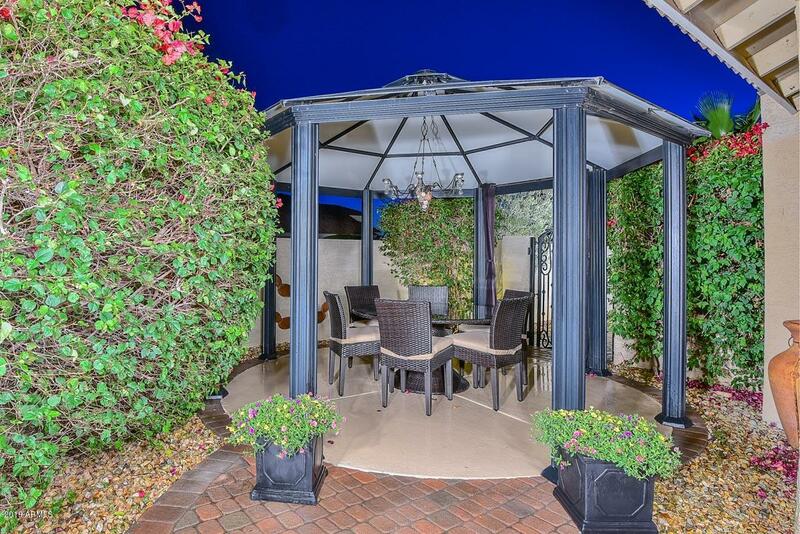 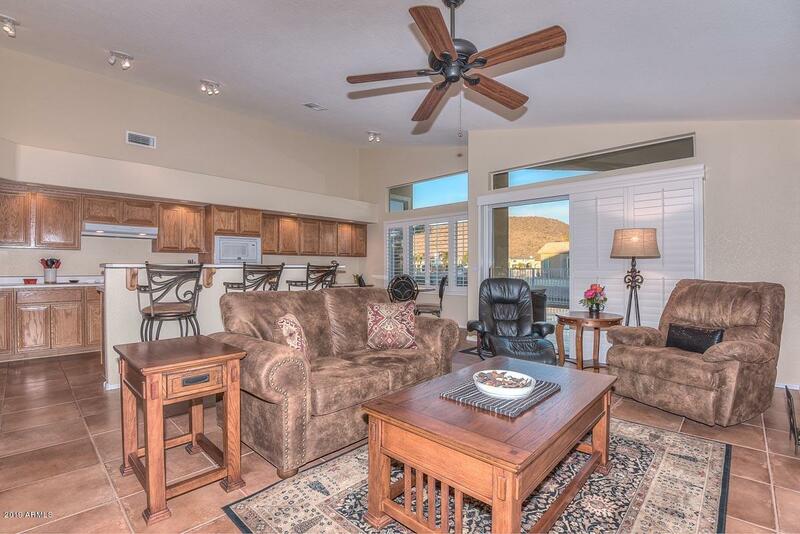 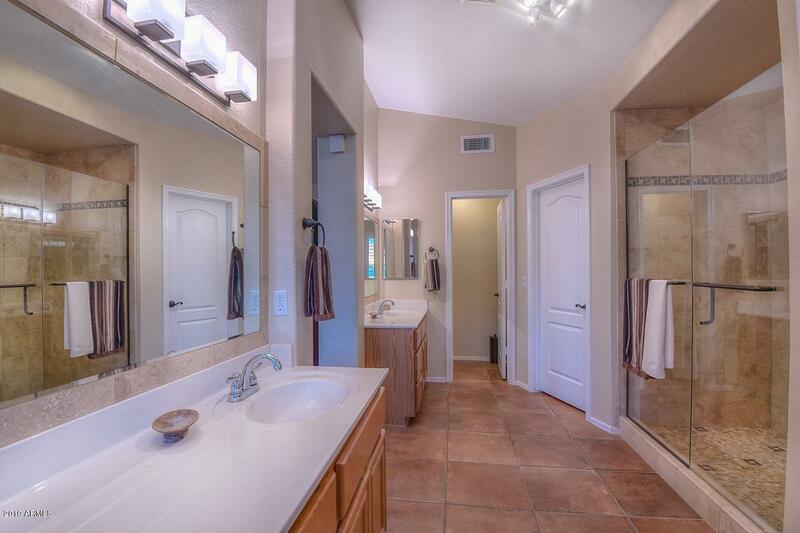 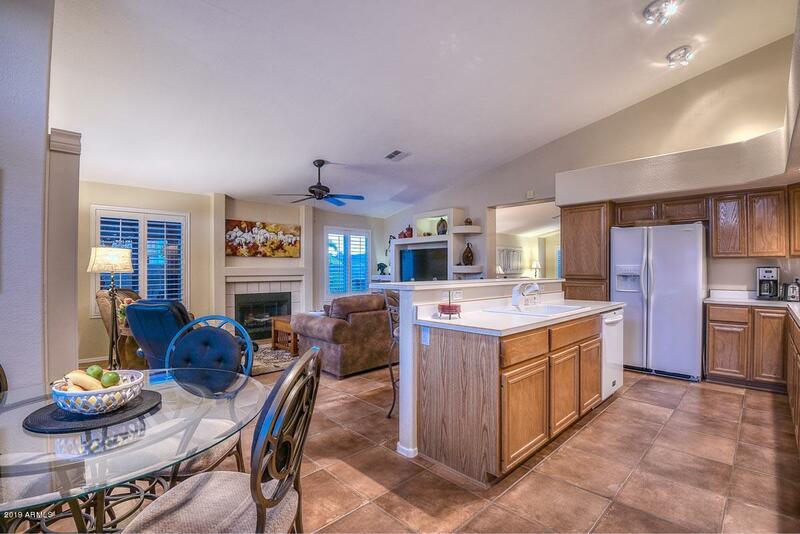 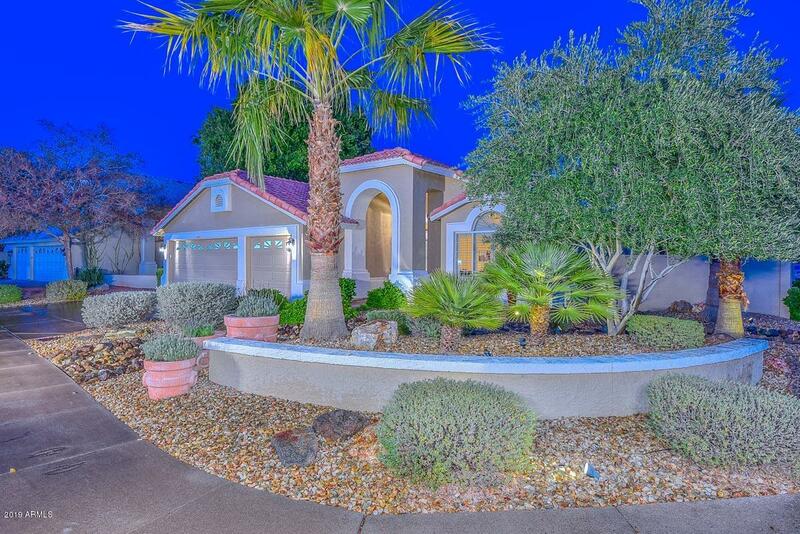 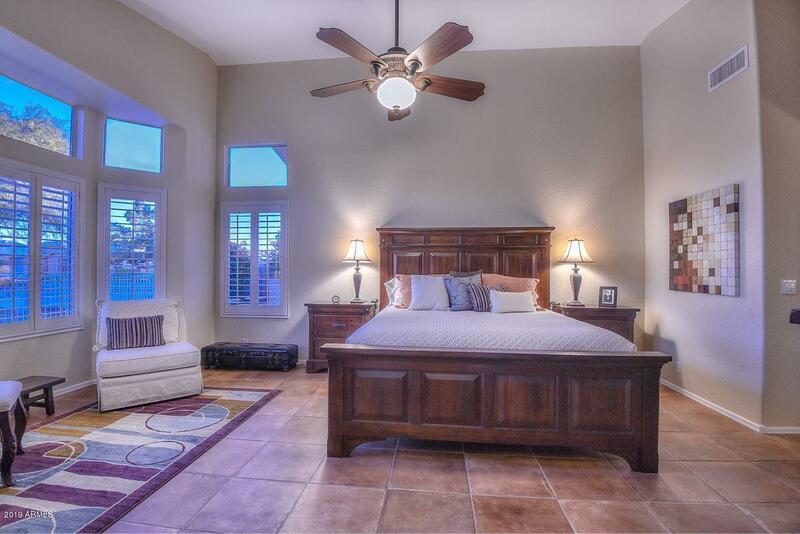 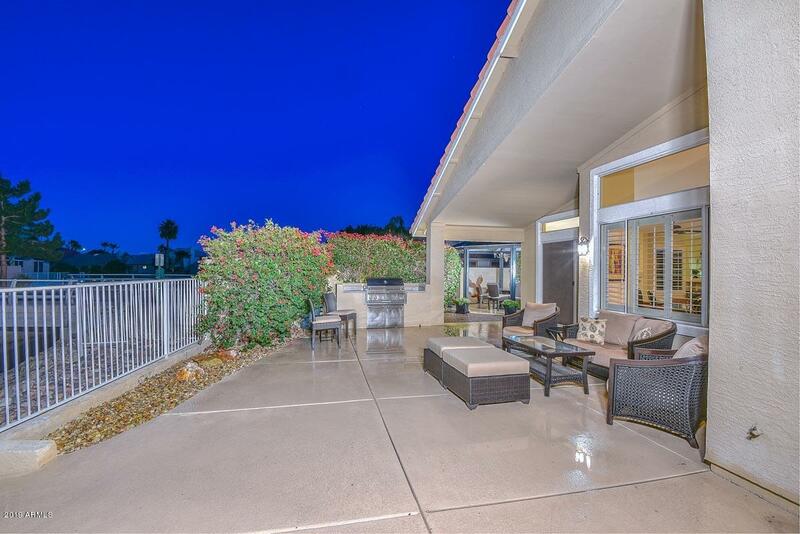 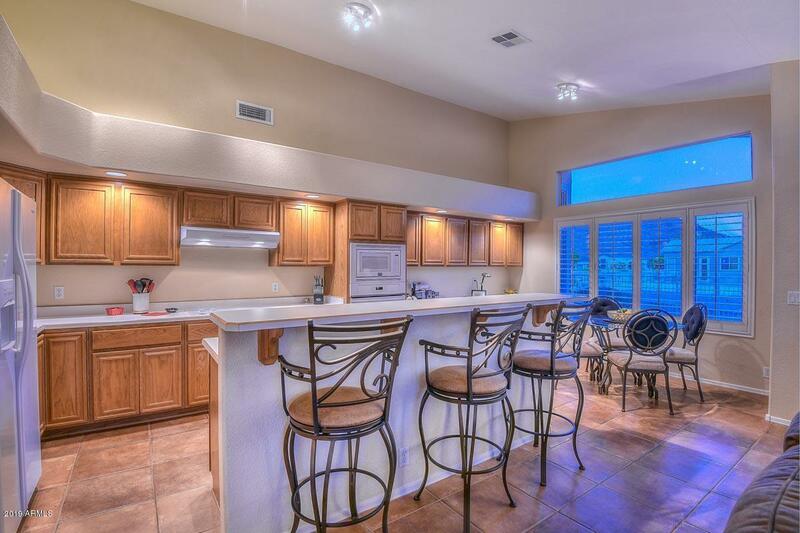 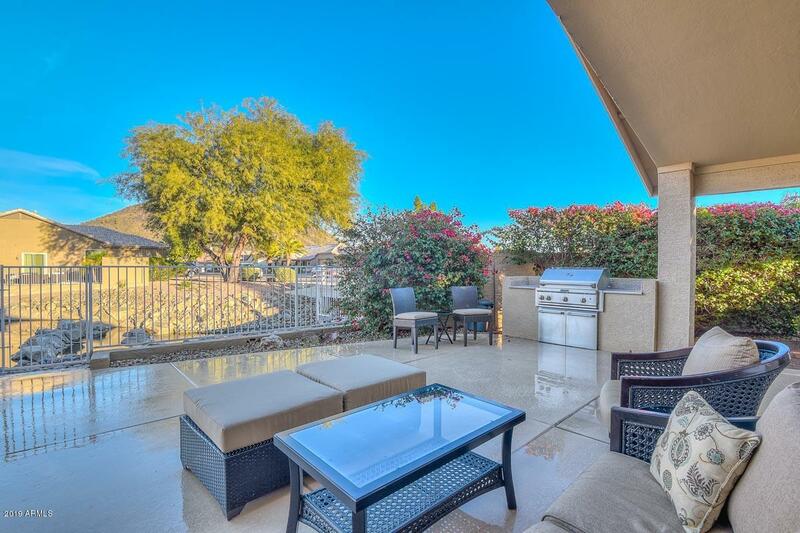 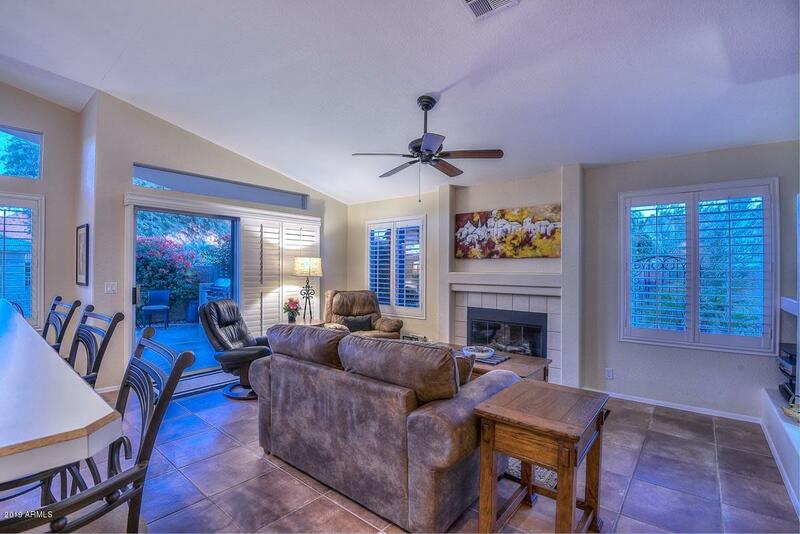 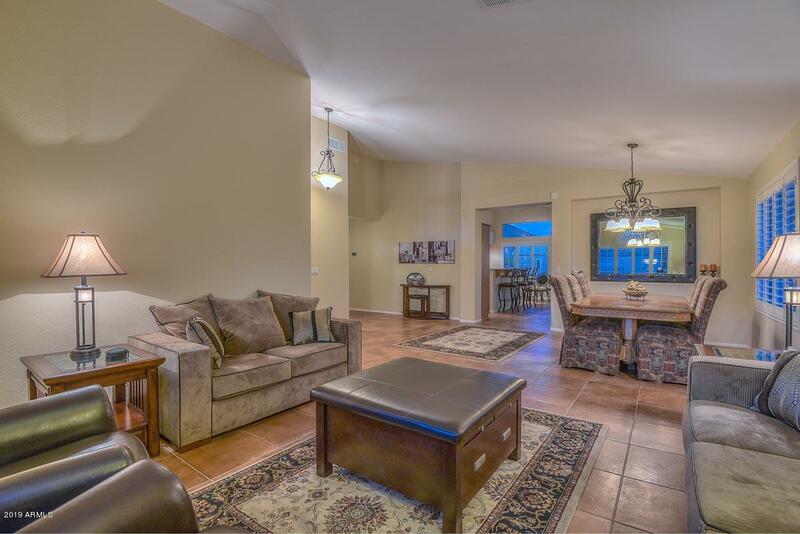 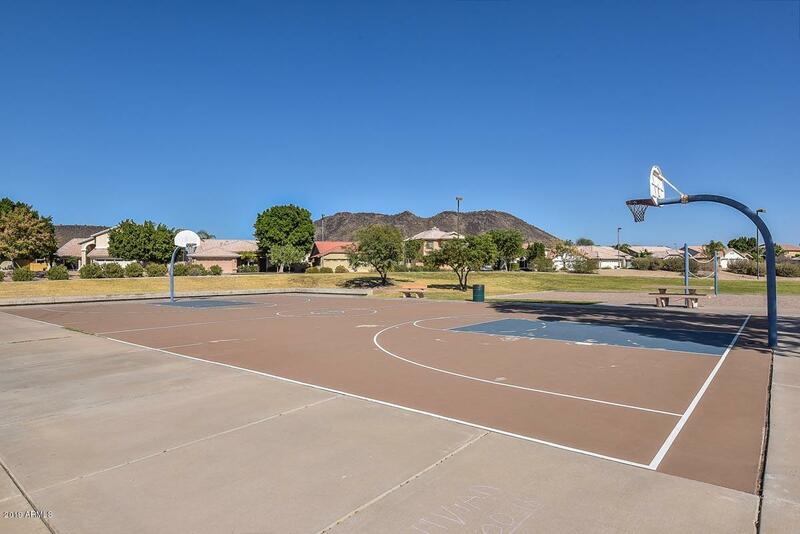 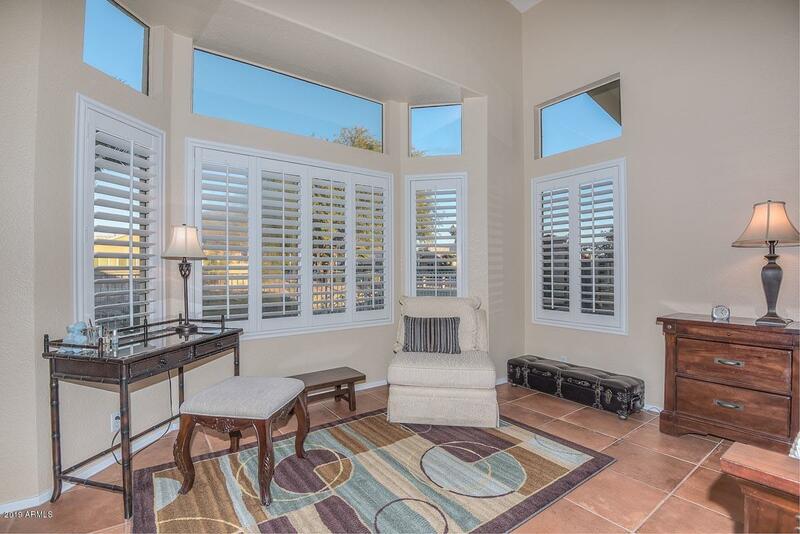 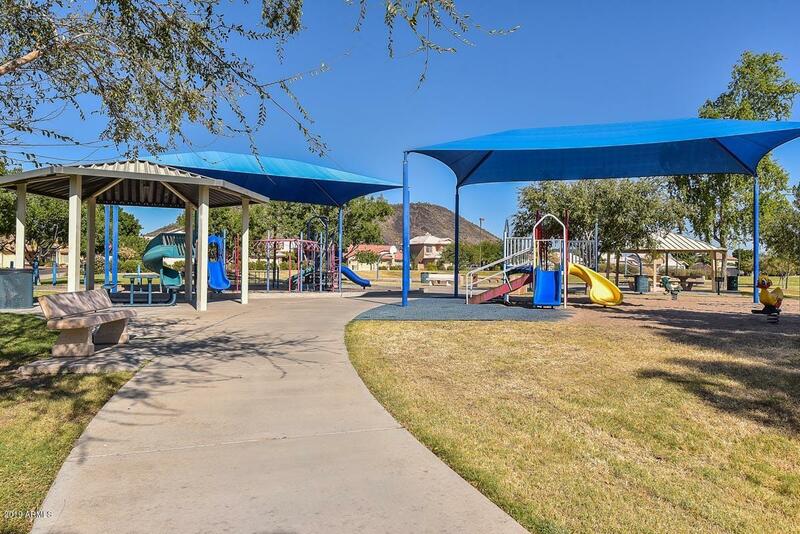 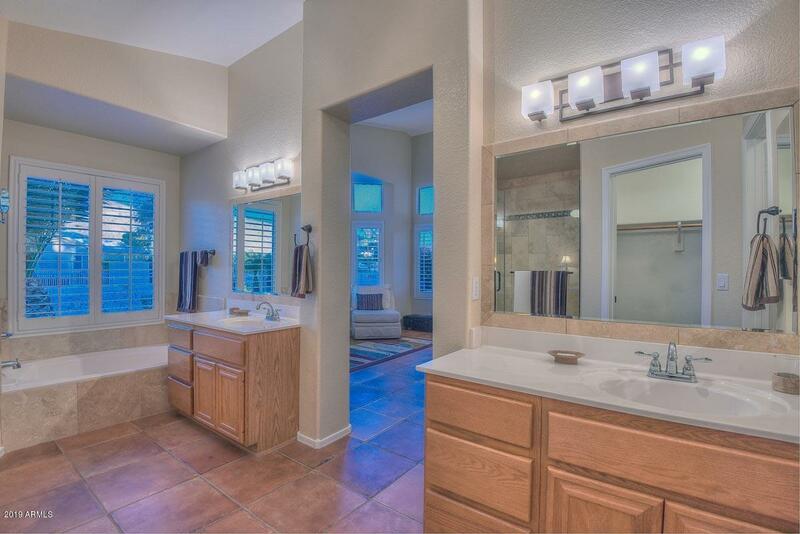 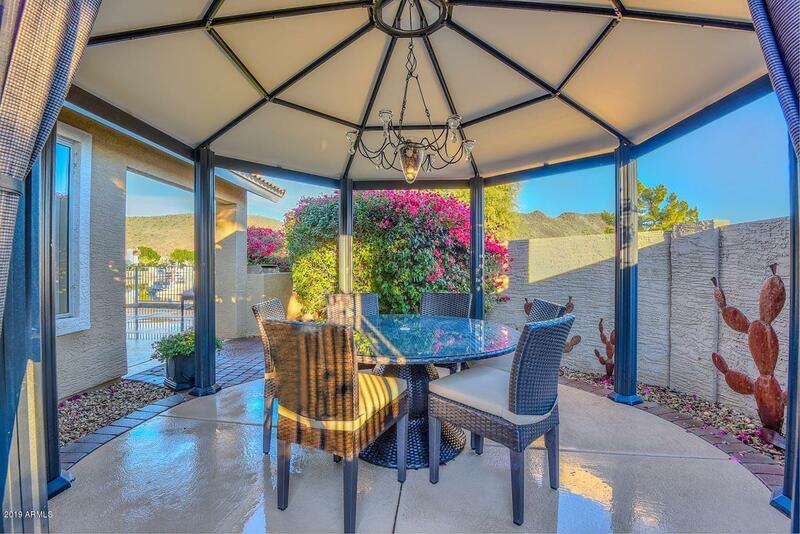 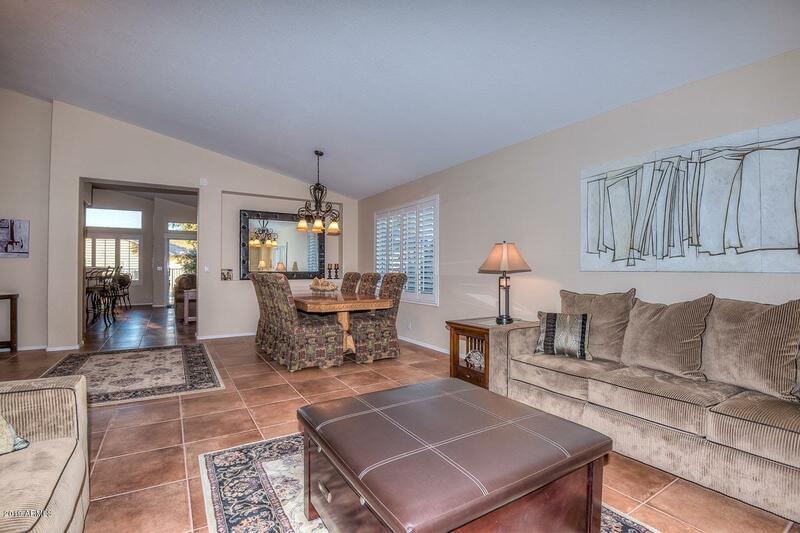 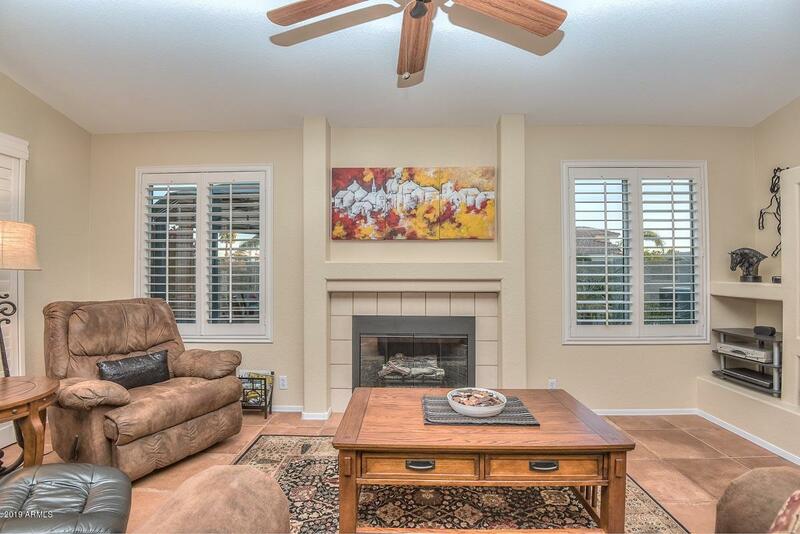 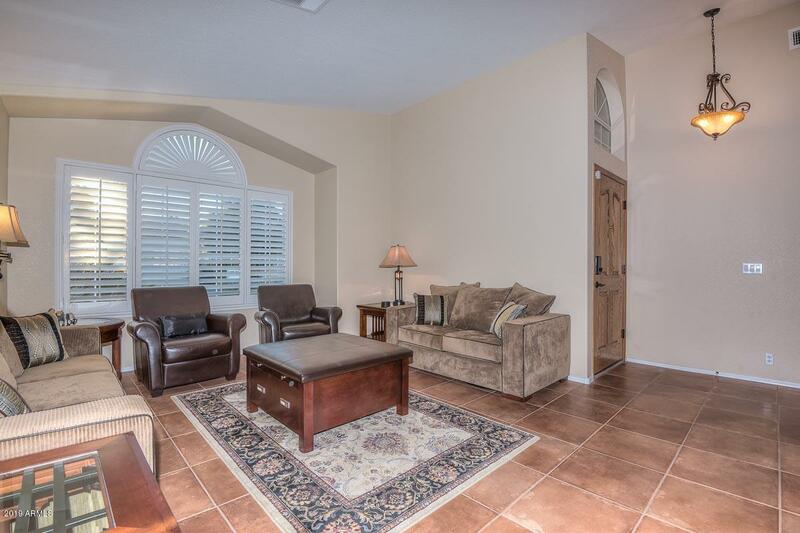 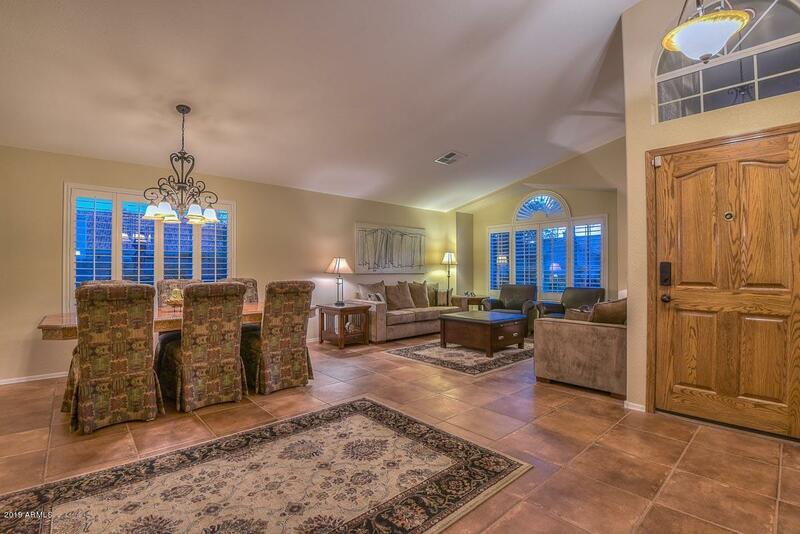 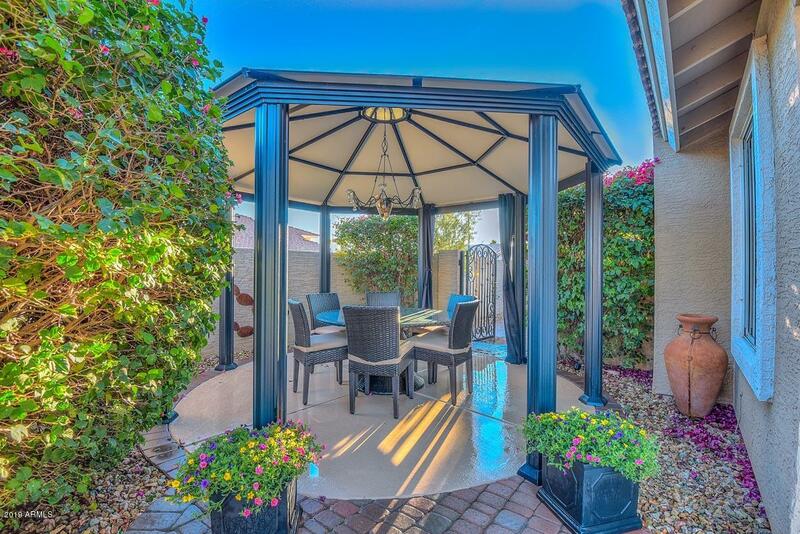 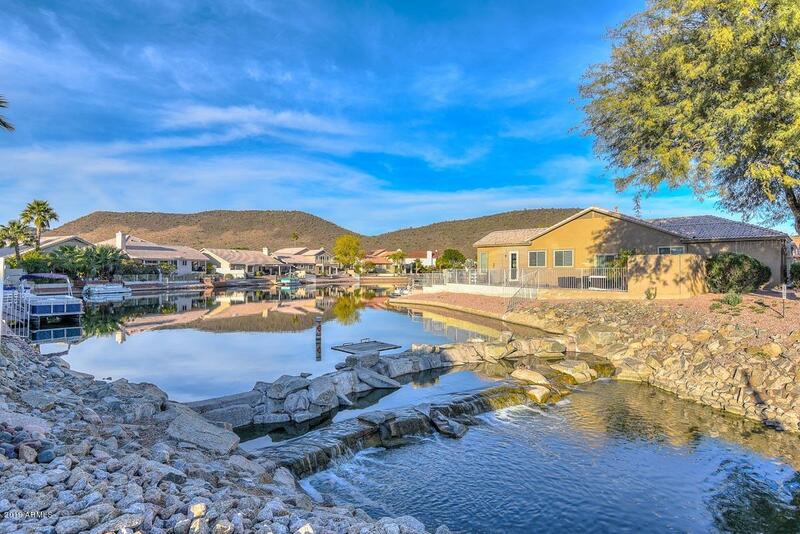 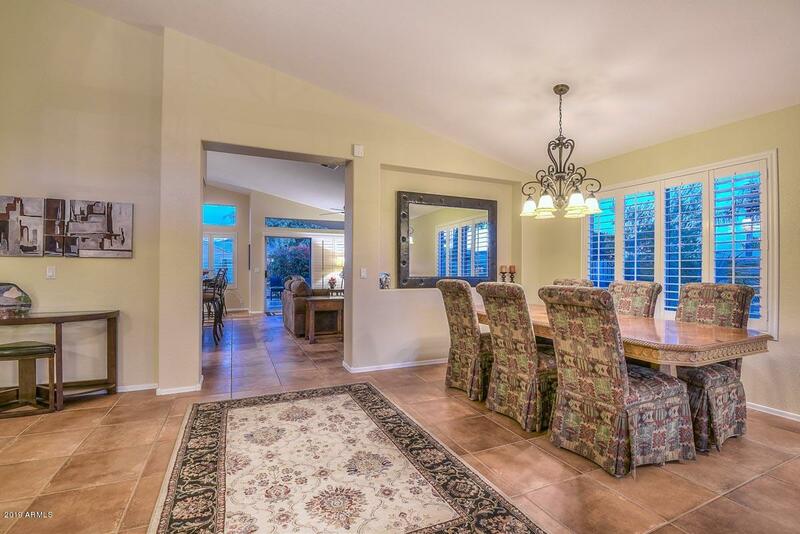 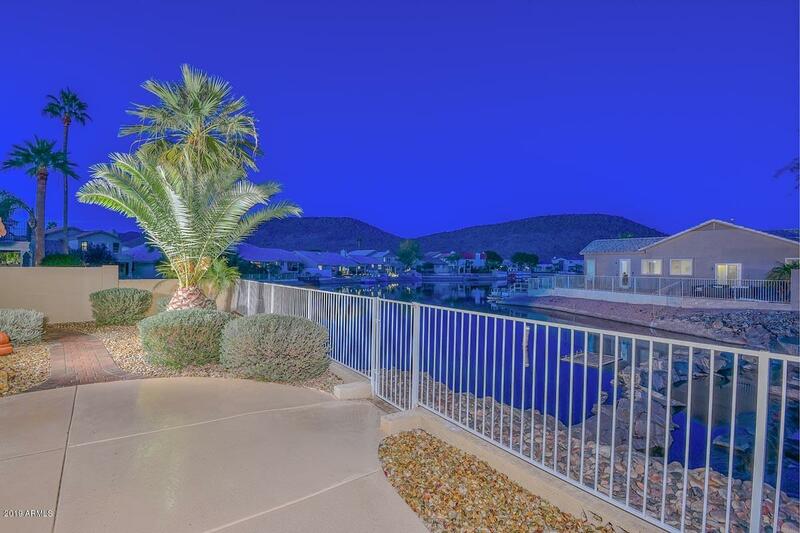 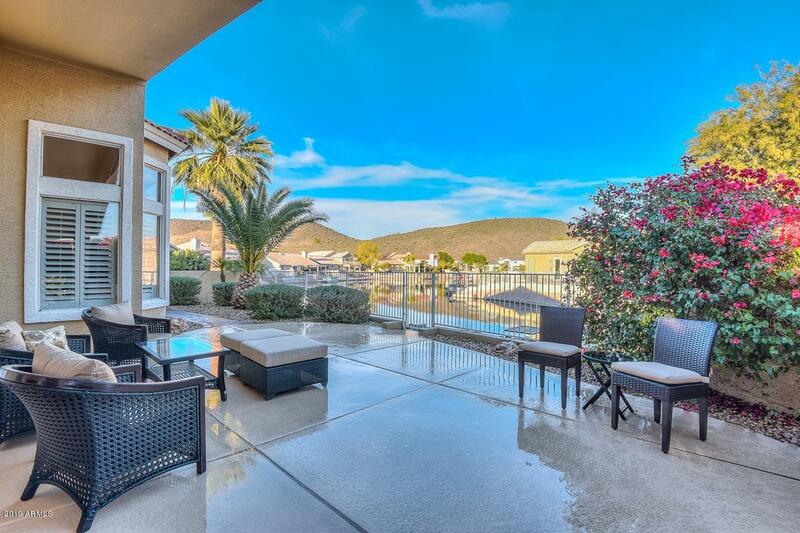 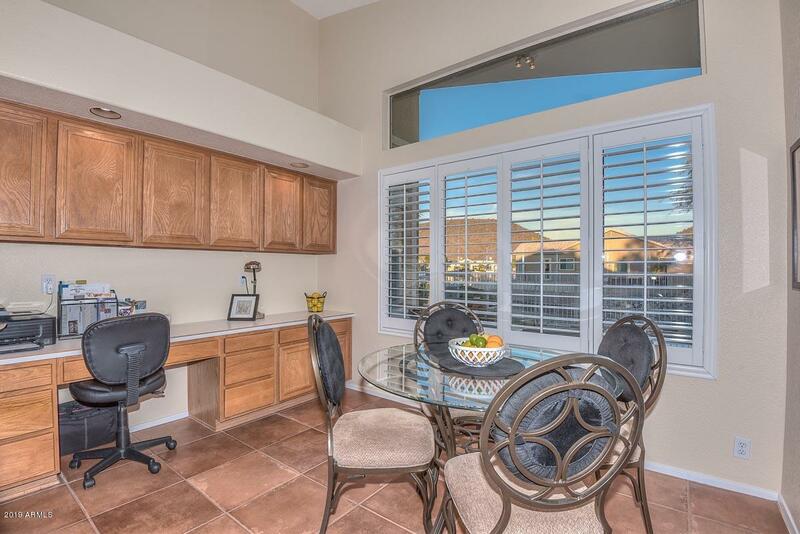 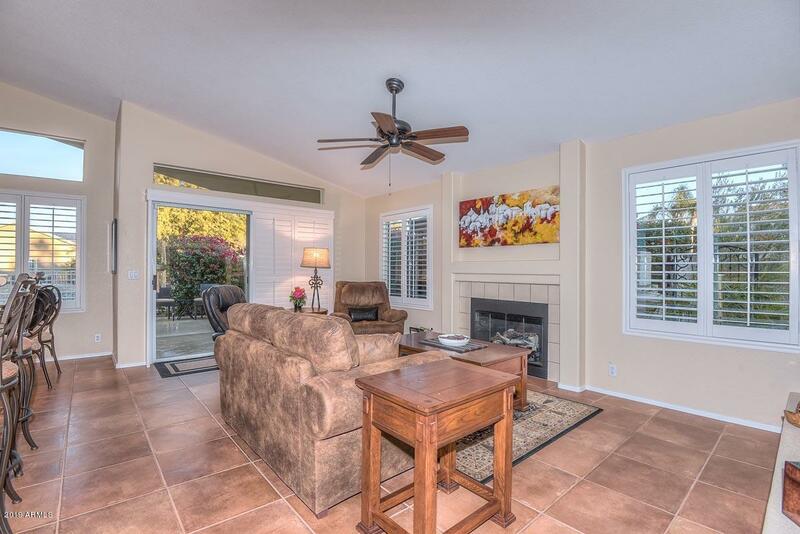 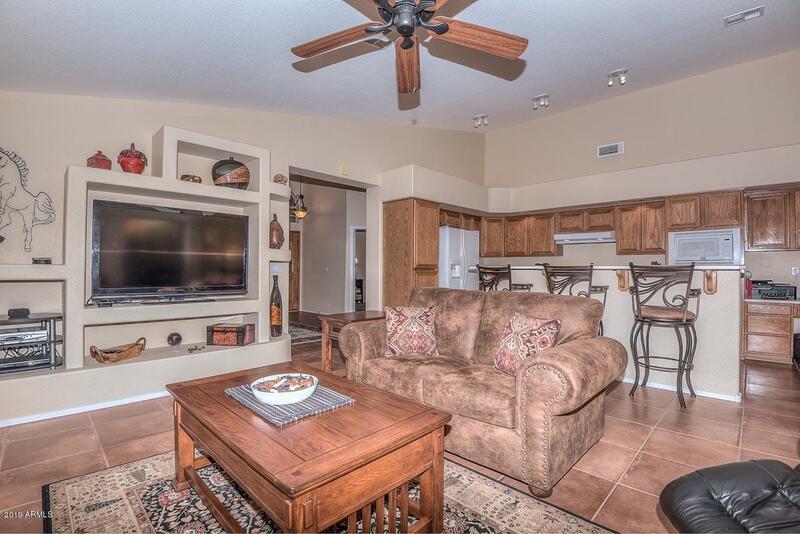 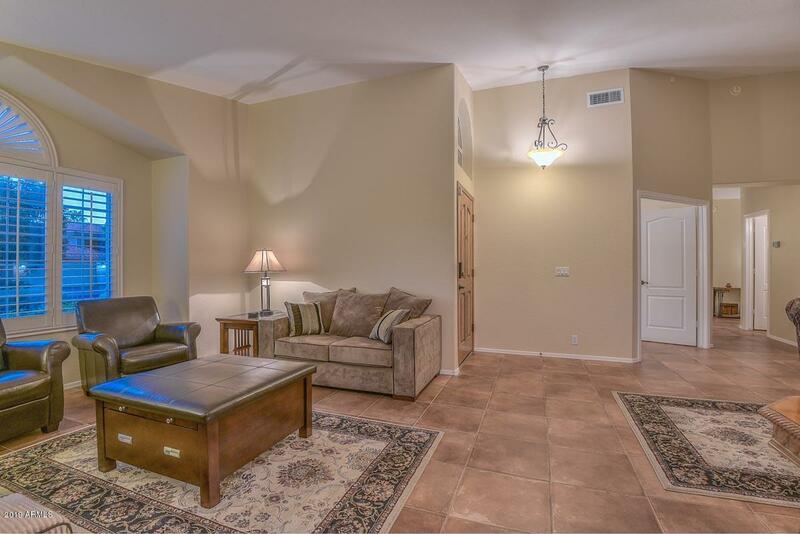 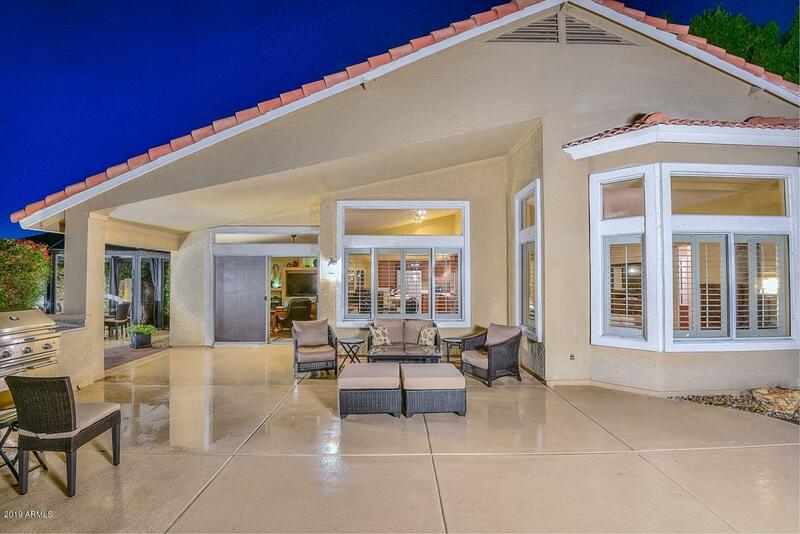 Centrally located with great shopping, restaurants, golf and hiking trails. 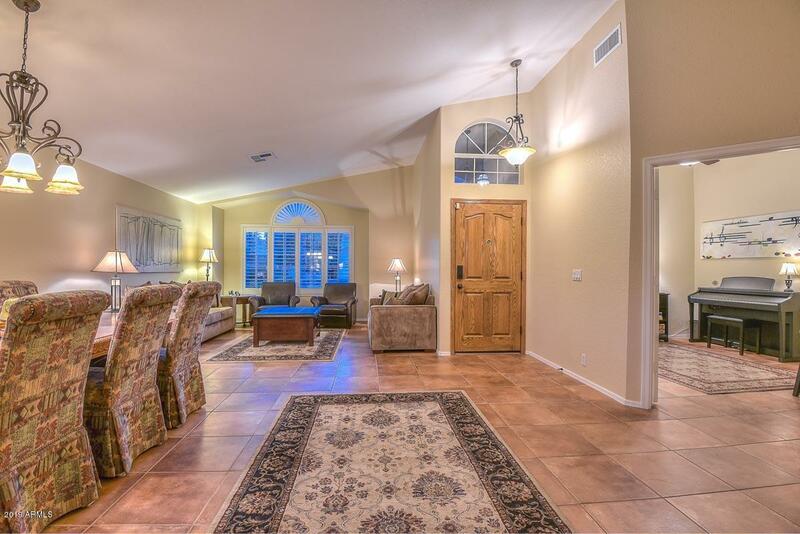 This is a truly spectacular home - you will love it!